I just filed this latest update to the ongoing Hoder saga. Iranian-Canadian blogger Hossein Derakhshan was temporarily released from a Tehran prison, after having been incarcerated for 26 months, according to a report Thursday on Mashregh News, a conservative Iranian news website. The same source also told Deutsche Welle that Derakhshan “will be out for a couple of days only,” and that the family had put up $1.5 million (1.3 million euros) worth of bail to ensure Derakhshan returns to prison when demanded by authorities. (No. 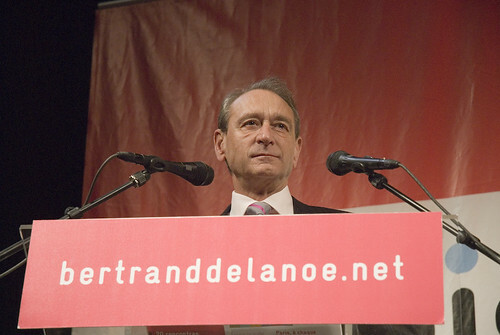 341 – October 20, 2010 – 1:15 p.m. 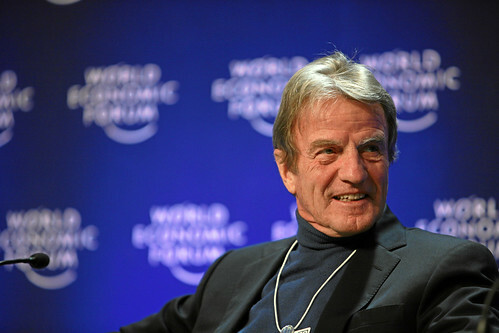 ET) The Honourable Lawrence Cannon, Minister of Foreign Affairs of Canada, and Bernard Kouchner (pictured), Minister of Foreign and European Affairs of France, made the following statement today concerning Canadian-Iranian blogger Hossein Derakhshan, who is detained in Iran. Mr. Derakhshan is a Canadian citizen and his companion is a French national. 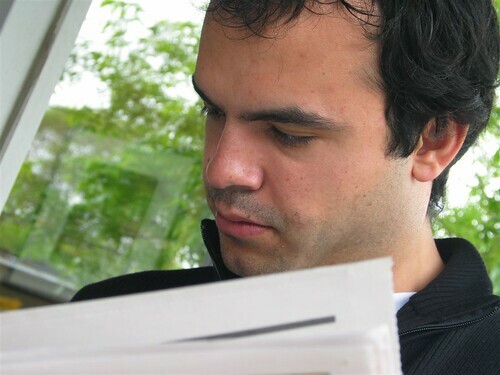 “We are jointly requesting that the Iranian authorities release Canadian-Iranian blogger Hossein Derakhshan, who may have been condemned by a lower court to 19.5 years in prison. 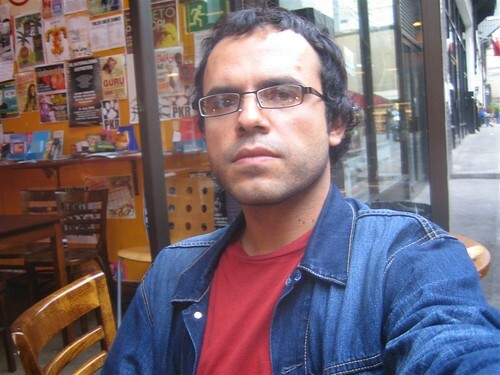 “The governments of Canada and France are very concerned that Hossein Derakhshan continues to be detained in solitary confinement in Iran, in violation of fundamental rights. His case, which constitutes an affront to freedom of expression and information, is a priority for both our governments. As per the Foreign and Commonwealth Office’s website, David Lidington has spoken out against the arrest of Hossein Derakhshan. Over all that’s been going on with Hossein Derakhshan lately, I thought I would repost this audio portrait that I did of him for the MediaShift website back in November 2009. I emailed the Ministry of Foreign Affairs in Ottawa and received this statement back from Melissa Lantsman, on behalf of Canada’s Foreign Minister, Lawrence Cannon. “We are deeply concerned about the news of this severe sentence. Our officials continue to seek confirmation of these reports from Tehran. If true, this is completely unacceptable and unjustifiable. Canada believes that no one should be punished anywhere for simply exercising one’s inherent right to freedom of expression. His situation is complicated by his dual nationality which is not recognized by the Iranian authorities. Iran must release him and other dual-nationals who have been unjustly detained. 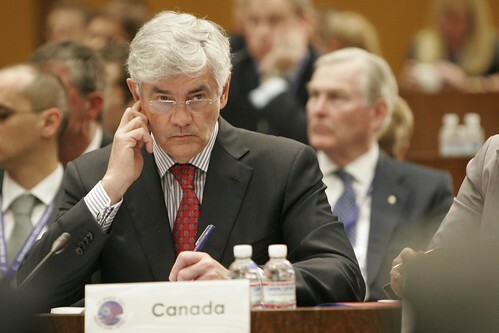 Since learning of Hossein Derakhshan’s arrest in November 2008, Canadian government officials have been in contact with Iranian authorities, including by diplomatic note and through high level meetings, to seek consular access. We will continue to press the Iranian authorities on Mr. Derakhshan’s behalf and urge Iran to fully respect all of its human rights obligations, both in law and in practice”. He is ordered to serve 19.5 years in prison, is banned for five years from joining any Iranian political party and is required to pay €30,750, $2,900 and 200 British pounds. The article also states that the sentence can be appealed. Upon seeing this link, I sent it over to my Derakhshan family contact, who confirmed this information. More info coming soon as this story develops. I will contact the Canadian authorities to see if they have any further information. The mayor of Paris, Bertrand Delanoë, released a statement (in French) today in support of Hossein Derakhshan. I have translated it below to the best of my ability. I have learned with dismay and the utmost concern that the death penalty was requested, Wednesday, September 22, by the prosecutor of Tehran, at the trial of the young blogger, Hossein Derakhshan. He is a high cultural figure and is a figure for freedom of expression in an also-threatened Iran. Hossein Derakhshan’s blog, written in both Persian and English, is one of the world’s most visited sites that express the voice of a free Iran. 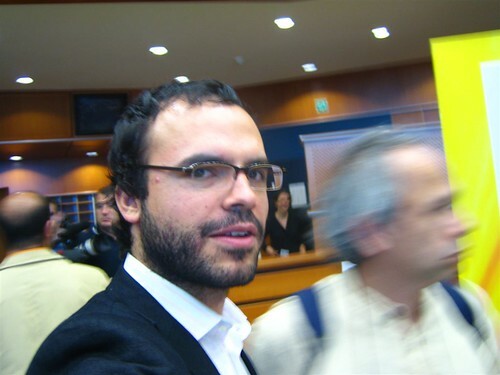 Hossein Derakhshan is a man of peace, which was especially shown during his two trips to Israel, and because of his texts “contributing to a rapprochement between Tel-Aviv and Tehran,” — this is why today he is in danger. He is also a man of great culture, openness and dialogue. And he is a friend of France and Paris. As someone fascinated by the philosophical works of Foucault, Derrida and Deleuze, he is linked to our city and its new generation of entrepeneurs and creators. In the name of Paris, I solemnly call upon the judicial authorities of Tehran to not condemn Hossein Derakhshan to death. And I invite the mobilization of all of our energies to save this honorable, courageous and dignified life. Editor’s Note: This is a English translation of an interview originally done in Persian by Kamtarin, published on September 21, 2010. I did not translate this interview myself, nor have I been in direct contact with Kamtarin nor Ozra Kiarashpour, Hossein’s mother, but my Derakhshan family source did confirm the authenticity of this interview and the accuracy of the translation. Hello Ms. Derakhshan, thank you for agreeing to the interview with us. Hello, I really don’t know what will help Hossein and what will harm him, and the only thing I can do is to pray for him. These days I am really bewildered and so is Hossein’s poor dad. How is Hossein doing psychologically these days? He is extremely overwhelmed and listless. He seems really depressed. He is really tired of being in limbo, being in jail, and being alone for two years. He says he spends most of the day sleeping. He recently requested to at least be transferred to the general ward but instead they agreed to move him to a different and better room, and potted a rose plant for him. Are you able to visit Hossein? For over a year we’ve had routine visitation with him once a week, but during the first eight months of his detention we had no visitation and didn’t know where he was. How do the prison authorities behave during your visitation? It depends on who is there on any particular day but the majority of time they are respectful. There are still some who doubt that Hossein is in Prison and there were even some who were saying that Hossein is staying at a villa in Zafaraniya [a wealthy area of Tehran] where he is helping the government. Don’t you think the reason for these rumors is linked to the fact that you haven’t really dealt with the media? I pray that those people never have to endure the pain that we are going through. During the early months of Hossein’s detention we were very confused, didn’t know what was going on, and didn’t know what we should do. On the one hand, Hossein had requested that we not speak to foreign media. And the domestic media wasn’t interested in us. Even with all of this, Hossein’s father and I wrote a letter to the Head of the Judiciary that was published in a number of places. And once the air cleared a bit, my daughter set up a blog to provide information about Hossein’s situation. These two years have been very difficult for us. Hossein’s father had several cardiac episodes. At the time when they told Hossein that his father had had a heart attack, he wasn’t allowed to use the phone. My child cried so much and blamed himself so much, which was even more painful for Hossein’s father and I. But we didn’t even tell Hossein that his father was upset because half of what upset Hossein in prison has to do with us. You wrote a post for the blog that you said was called “Justice for Hossein Derakhshan,” are you familiar with blogging and with computers? Since my children are often traveling abroad, I have to use the Internet as a means of communication. Could it be possible that I know nothing about blogging? 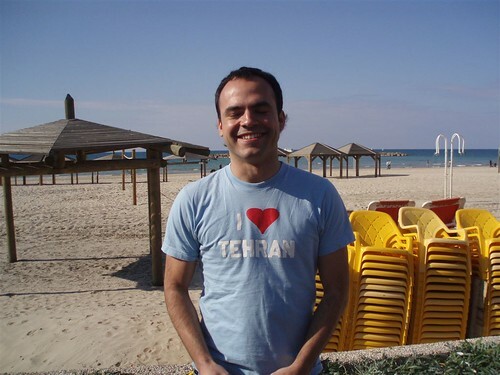 The truth is that Hossein used to talk our heads off about blogging. All that we are suffering unfortunately started with Hossein’s blogging. Had Hossein come to Iran by invitation of the government? Hossein had had some conversations with Press TV about working in their Tehran office. Even during the days before his arrest, he would sometimes go to their office since we didn’t have high speed internet at home. Before his return to Iran, the High Council of Iranian Affairs Abroad promised Hossein that his trip would be without problem. He had cleared his trip with this Council which is governmental and which is in contact with the Intelligence service. That’s why even though Hossein knew that they would call him to be questioned, he did not expect to be arrested like this and hadn’t told us what to do in case he was arrested. A representative from the Council told us that they pursued his case on behalf of the Council but that unfortunately they couldn’t do anything further. Why are there such splits in the country’s security apparatus? Is Hossein accused of espionage? Absolutely not, I don’t know how these people who constantly accuse Hossein of these things can live with their own conscience. If Hossein is a spy and had a security project, then why hasn’t the documentation for this turned up anywhere? And why wasn’t espionage part of Hossein’s charges? What do you think the Judge’s ruling will be? We can’t do anything about the judge’s ruling except to pray since other than God no one knows what the future will bring. The prosecutor has asked for the severest sentence possible to punish Hossein and to make an example of him. As Hossein’s mother, and not as someone whose family has sacrificed much for the sake of the Revolution, I want to ask why are they making an example of Hossein rather than making a role model of him? He is someone who repented and returned to serve his country and is ready to criticize his past thoughts and actions. Are you making an example to prove to people that repenting is useless? To show that supporting the ruling system will have this outcome? All these years, this family has been a steadfast supporter of this ruling system, and Hossein is one of us. It is not fair that you should punish him so severely for honestly conveying his life experiences over these years. If Hossein is freed, will he leave Iran? Hossein had grown really tired of living abroad and even now to make us feel better he says, I may have been in prison these past two years in Iran but before that I was in prison abroad. Thank you for the interview, we hope that Hossein’s situation is resolved soon. Iran does not legally recognize dual nationality. As such, Canadian- Iranians are considered to be Iranian under local law. The consular assistance that may be provided by Canadian consular officials to Canadian-Iranian nationals is very limited. This limitation is noted in DFAIT’s travel report for Iran (www.voyage.gc.ca), under “Dual Nationality”. Despite the Iranian government’s position, we consider Mr. Derakhshan to be a Canadian citizen. We will continue to press the Iranian authorities for access, as we have in similar cases involving dual nationals in other jurisdictions. Canada continues to urge Iran to fully respect all of its human rights obligations, both in law and in practice. Due to the Privacy Act, no further information can be released at this time. A member of Hossein “Hoder” Derakhshan’s family has confirmed to me that he is awaiting a sentence in his trial in Tehran, and that the prosecutor is seeking the death penalty. After initially seeing a report on Kamtarin.com, which I passed along to this family member, that family member dismissed it as “rumor.” However, other messages from a second family member seemed to conclude that this sad news was correct. I forwarded that message to my contact, who said that after getting in touch with his family, confirmed that the sentencing was, in fact, true. To clarify, President Ahmadinejad will be appearing on CNN’s Larry King Live tonight (Wednesday). I had not received any new information about the case since last hearing of the beginning of his trial in Tehran. Not surprisingly, Twitter is abuzz with the news. I’m contacting Canadian authorities in Ottawa and Tehran and will post whatever I can. In the past, Canadian officials have publicly said very little, other than that essentially their hands are tied as Iran doesn’t recognize dual citizenship and that Derakhshan has been denied consular access.